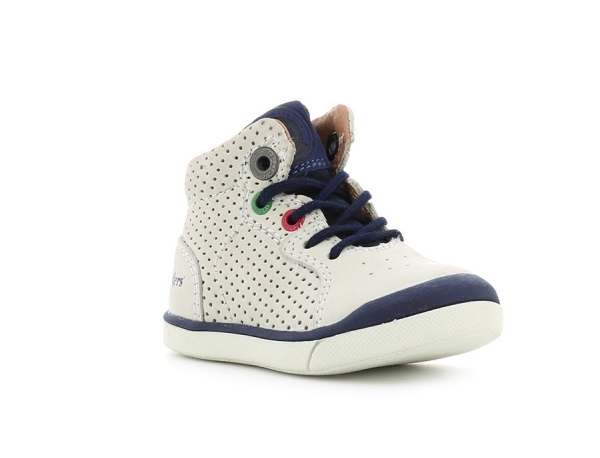 Off-white Goodjob sneakers take their originality from the perforated leather covering the whole of the shoe's upper. 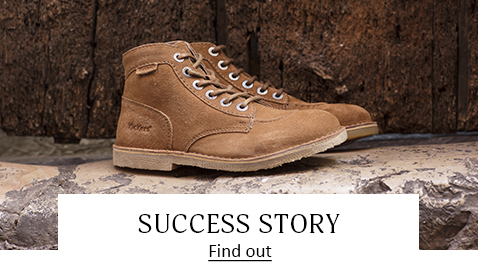 This is the perfect shoe for sports lovers. 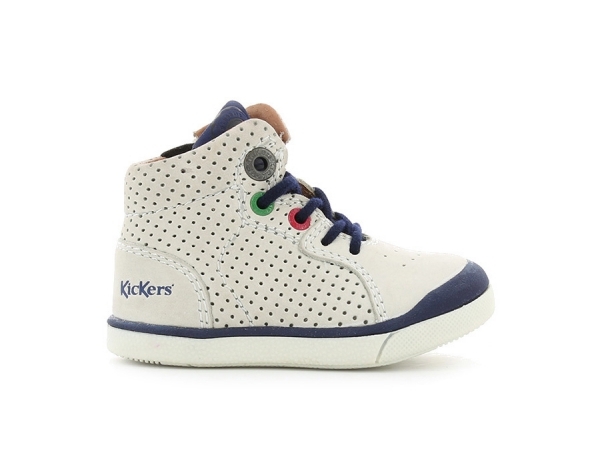 The eyelets at the top of the shoe's upper keep your child's foot secure when they are running around. 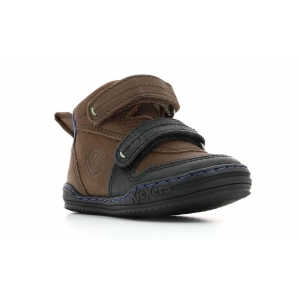 The rubber sole provides stability and comfort for even the most delicate children while they are learning to walk. 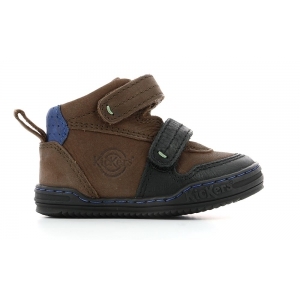 The double fastening system using both laces and a zip means your child can easily put their shoes on by themself every day. They just need to do up the zip and they're ready to set off on some new adventures! 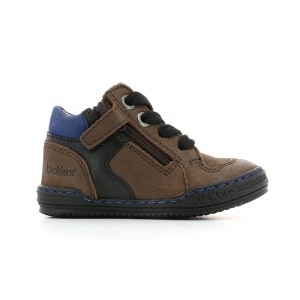 There are one or two extras you will really love about these shoes, such as the little velcro tab that keeps the zip closed and that your child will love playing with! 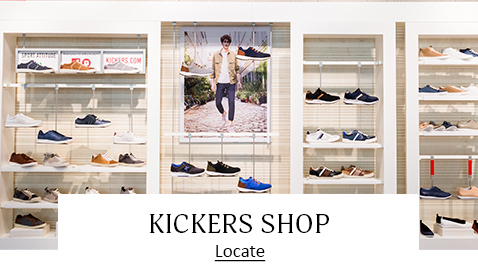 The Kickers eyelets come in three colours, red, green and brown and recall the standout colours associated with the brand, giving these high-top sneakers their own style. 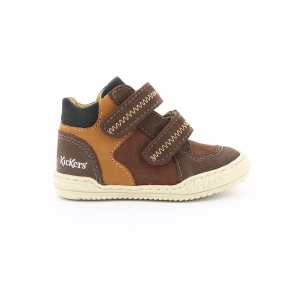 Of course, Kickers shoes aren't complete without the must-have Kickers logo on them! 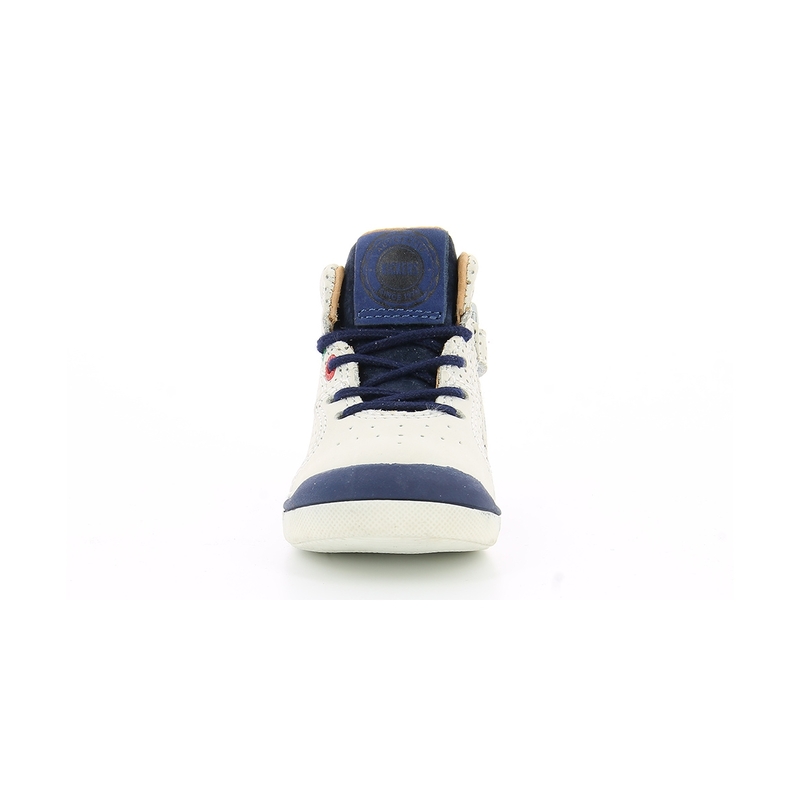 This is navy blue on these shoes to match the contouring of the sole on the upper, the tongue with the Kickers logo stamped on it, and the laces.